Canada’s Barrick Gold (TSX, NYSE:ABX) said Wednesday that total output fell last year 9.8% to 5.52 million ounces, though lower all-in sustaining costs mitigated the impact of decreased production. The world’s largest producer of the precious metal by output said all-in sustaining costs for 2016 were at or slightly below the low end of its forecast of $740-$775 per ounce of gold, based on preliminary full-year figures. In comparison, in 2015 the company had all-in sustaining costs of $831 per ounce. But all-in sustaining costs were at or slightly below the low end of its forecast of $740-$775 per ounce of gold. The Toronto-based miner also said the estimated costs of sales applicable to gold last year were at the low end of the forecast of $800-$850 per ounce it gave in October. Copper output, said the company, fell 18.8% to 415 million pounds, with all-in sustaining costs of $2.00-$2.20 per pound. In 2015, such costs were $2.33 per pound. Barrick, which expects to produce at least 4.5 million ounces of gold a year through 2020, has been expanding its presence in Latin America, home to several of its biggest bullion projects. In early 2016 it said it would spend $640 million to extend the life of it Lagunas Norte mine, in Peru, by about nine years. 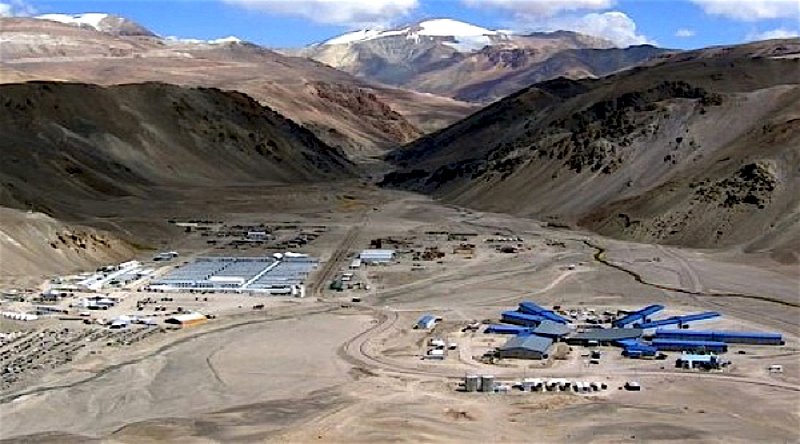 In December, it hired Pablo Marcet as new director for the region, where the company miner has faced a string of challenges in the area, particularly in Chile and Argentina due to environmental breaches at its massive $8.5 billion Pascua-Lama gold, silver and copper project, as well as at Veladero. Barrick also holds a 60% stake in Dominican Republic’s pueblo Viejo mine, a joint venture with fellow Canadian Goldcorp.